Ouch, The Flyx, Xiao Wang, Day Dream, Pizza Face! Local label D.O.G. 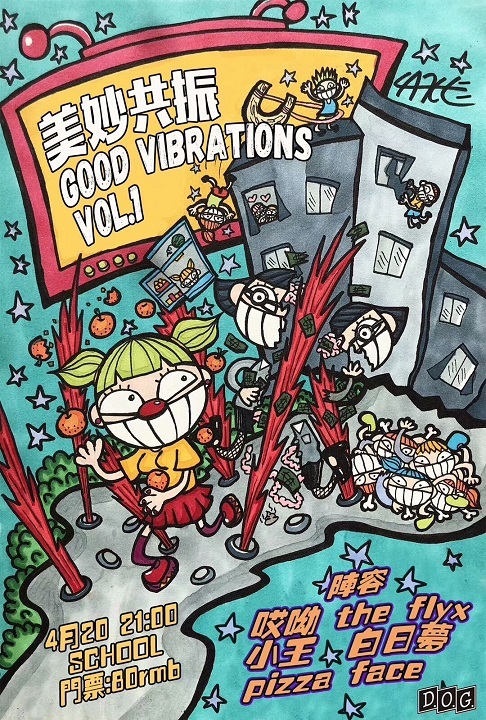 returns to School Bar with volume 1 of its new "Good Vibrations" series! Punk is the name of the game this evening, and joining in on the fun are ska punk legends Ouch, China's answer to Anti-Flag The Flyx, self-described kawaii core punk n' roll four piece Xiao Wang, pop punk rockers returning to the stage for the first time in months Day Dream, and last but not least, female fronted glam rockers Pizza Face!